Are you a fish lover, just like me? If so, book a table at the newly open THE FISH HOUSE at Intercontinental Festival City. You will you enjoy a delicious culinary experience, while being surrounded by some impressive décor pieces. As expats know, over the last century fishing and pearl diving have been at the heart of Emirati life. The Gulf is home of a variety of fish and sea treasures: The Fish House is the proudly recipient of this daily bounty. At dawn the chefs scour local markets carefully choosing the freshest catches of the day from experienced and skilled fishermen. The Fish House is built on the simple premise of promising the best range of fish prepared however you like it. Unconstrained by tradition, the chefs will take fresh produce, prepare and cook it just the way you like; whether it is a nostalgic style that reminds you of your childhood days or the latest fusion concept. A tip: simply order the catch of the day, you will not be disappointed! 28 April 2018 9 May 2018 by beingaudreyindubaiLeave a Comment on Are We Still Dreaming? When art touches your soul. I was recently blessed to see the awesome work of artist Safwan Dahoul in DIFC: I didn’t plan to visit this exhibit, just bumped into it. And it was surprisingly beautiful. Since the late 1980s, Dahoul’s ongoing Dream series has explored the physical and psychological effects of alienation, solitude, and longing that punctuate the human experience at various stages in life. Partly autobiographical, the artist uses the formal properties of painting to recreate the subconscious sense of enclosure that surfaces during periods of crisis. in his newest work Still Dreaming, he continues this exploration, however this time posing the question: Are we still dreaming? Dahoul focuses on the nostalgia of home while trying to depict a representation of both what he sees and feels. The exhibit features two large paintings and 16 identically sized works, 120 x 76 cm. In the 16 works, Dahoul’s recurring female protagonist is painted at the center of each canvas, she sits in precisely the same position, focusing the viewer straight on. Each painting, different to the other, is defined by the placement of various objects on the figures chest, that seem to deepen the state of her disaffection, as even the familiar becomes a trigger of distress. the figure is sometimes vacant-eyed, other times more expressive, with minimized physicality. The female’s eyes are lauded with emotion; her lips are slightly parted, seemingly caught in the moment of deciding whether to speak or remain silent. The works echo of a deafening silence that paralyses the viewer in front of them. You can follow and discover more about this stunning artist @safwan_dahoul on Insta. I’ve always loved that early morning feeling, when all is quiet and still, and silence gracefully embraces you and your first thoughts of the day. 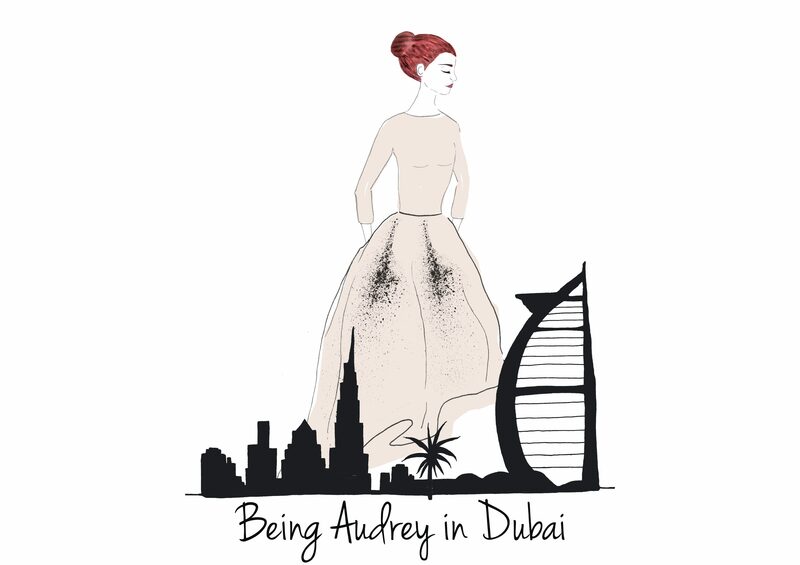 Here are some habits I learned gradually since arriving in Dubai that changed my life for the better (and yes they work, even if you are a busy professional or a school-run mama). No more cranky moods! It is proven that the first 10 minutes after you wake up are the most influential time, that’s why it is important to have a mindful routine and ritual in place to make sure your mind and body are happy from the very start. *No Snooze – I always choose a time to get up and tell myself that the snooze bottom is not even an option. *Do some Pilates Matwork exercises (or simply stretch, if you are not familiar with the Pilates conditioning) – Moving your body first thing in the morning has several health benefits, including muscle and joint flexibility, stress relief, and improved circulation. *Water – About 60% of our body is made of water and, after sleeping for 7-8 hours without water, your body is practically begging to be replenished. I usually start my mornings with a tall glass of water with a drop of doTERRA Wild Orange essential oil (if you prefer, Lemon essential oil is awesome too to boost your immune system). *Breakfast – For so many years in a row, my breakfast was just a quick cup of green tea while getting ready for work.. wrong choice! I’ve learned at my expenses that there are so many healthy benefits to eating a real breakfast: above all, it kickstarts your metabolism helping you burn calories throughout the day. Now I feel weak and “empty” if I do not start my day with a yummy, whole food brekkie. My favorite healthy bowl at the moment is: blackberries, raspberries, almond, sunflower seeds, Greek yoghurt and honey. I also take a spoonful of vanilla coconut oil to help balance blood sugar. *Music – You might want to start your day with upbeat music or you might prefer soothing calming and relaxing: whatever you chose, be sure it makes you feel good and charges your morning! Music is life. Or you can listen to a Podcast to uplift your mood (and it’s great company while commuting or doing the school-run: my top two at the moment are The Minimalists (those two guys are one of my obsession) and Hol:Fit Talks (thanks to a lovely friend that suggested me this helpful, intentional Podcast). *No Phone – Honestly, I still have to work a little bit on this. Turn off your phone notifications. If you are worried about emergencies, flip your mobile over to its “do not disturb” mode: the people who need you will be able to reach you. *Read – Just because reading enriches your soul and makes you discover exciting new universes. Soak your mind in words. And when you choose to read a positive, encouraging book, this practice is something that makes a big difference. Well, enjoy your early mornings! Looking for a long relaxing weekend immersed in nature? If there were any heavenly landscape to include in your bucket list, Sir Bani Yas Island’s Anantara Resorts would be somewhere very close to the top. From the wondering wildlife to the panoramic views and the salt-domed hilltops, it very nearly feels like you are in the heart of Africa. But, that is the beauty of this place. Sir Bani Yas Island is located a two-hour drive followed by a 30-minute ferry ride away from Abu Dhabi. The island was first established as a reserve by the late Sheikh Zayed Bin Sultan Al Nahyan when he became the first president of the UAE in 1971. Sheikh Zayed chose this island as a retreat as part of his Greening of the Desert program to preserve endangered and vulnerable animals. Sir Bani Yas Island has a truly deserted, tropical hideaway feel. It is lush and green, with lagoons inhabited by herons and flamingos, and stunning exotic wildlife, which is the ultimate draw. an early morning Nature Walk is a must. You’ll spend 1.5 hours on the east side enclosure getting up close and personal with animals like the Beisa Oryx, Axis Deer, Urial Sheep, and Red Deer. And of course, a tower of giraffes getting their morning fuel fix – so bring those cameras, as well as good shoes, sunglasses and a hat. a sunset Nature & Wildlife Drive will take you on a 4×4 adventure where you will lay eye on some of the beautiful free-roaming wildlife. The expert guides are really helpful and knowledgeable on everything from flora and fauna to knowing all the tricks of the trades in locating the animals, so that you can have a wholesome, memorable experience. an amazing treatment at Anantara Spa. I highly recommend a 30 min Desert Sand Scrub, followed by a 60 min Signature Massage – to stimulate the circulation and promote deep relaxation, while restoring the flow of energy along the meridian lines. Aside from this, you are spoiled with the option to go sailing, horse riding, mountain biking, snorkeling, kayaking, deep sea fishing, or to take a cultural and historical tour amongst other awesome activities. Not only is Sir Bani Yas Island the coolest eco-friendly staycation in the UAE, it’s one of the most breathtaking. You will not be disappointed! Did you know that Vincent Van Gogh only sold one painting during his short and troubled lifetime? Head to Van Gogh Alive – The Experience to learn more about the work of the famous Dutch painter. Van Gogh Alive is a special art exhibition in a very unique way – with over 3,000 images displayed on the walls, the ceiling, and even the floor with high definition projectors in the heart of Dubai Design District. It has been touring the world already and will be stopping in the desert city for six weeks, till April 23rd. Some of the paintings are displayed in full, while others are broken into sections, or magnified on a huge scale. Plus you will enjoy a moving and specially-curated music soundtrack as you immerse yourself in Van Gogh’s most breathtaking works, such as “The Starry Night“, “Irises“, “Blossoming Almond“, “Bedroom in Arles” and “Wheatfield with Crows“. To celebrate the genius of the Dutch painter, the Dubai Art Season and to help the communities in need, Samovar Carpets has teamed up with Dubai Cares to set up a silent auction of a unique reproduction the Starry Night – a hand-knotted carpet developed by multi-award winning designer Erbil Tezcan. The auction will be open till April 23rd and all proceeds will go towards Dubai Cares’ education programs in developing countries. Grab a blanket, sit down, relax and enjoy an unforgettable multi-sensory experience! @vangoghaliveuae – Tickets sold online at Virgin Megastore and Platinum List. After moving to Dubai, I have been experiencing some trouble sleeping at night. Be it the change itself, the lifestyle, the pace of the city itself… I still do not know. Then I get into bed and give myself the bare minimum of 8 hours before the alarm goes off. Creating a relaxing atmosphere definitely helps me to relax and sleep. My “little helper”: MR FOX LAVANDER essential oil. Mr Fox is an independent niche company that creates with passion a range of Fantastic, Magic & Organic products, handmade and 100% natural, for the skin, hair, body & mind. The Latin name of lavender is Lavare, which means “to wash”, due to its particularly clean aroma. Today, lavender is the most used essential oil in the world: it has a sweet, floral aroma that is calming, relaxing and balancing – physically and emotionally. Lavender oil benefits include its ability to regulate the nervous system, promote sleep, relieve pain, disinfect the scalp & the skin, help acne & psoriasis, enhance blood circulation, heal wounds and treat respiratory problems. Because it’s the most versatile of all essential oils, is a “must have” for the home! I focused myself a lot lately on essential oils, after having discovered dōTERRA products. But this topic deserves a whole dedicated chapter, and all your attention. Stay tuned for more! Resilience is that ineffable quality that allows some people to be knocked down by life and come back stronger than ever. Rather than letting failure overcome them and drain their resolve, they find a way to rise from the ashes. Psychologists have identified some of the factors that make someone resilient among them a positive attitude, optimism, the ability to regulate emotions, and the ability to see failure as a form of helpful feedback. Even after misfortune, resilient people are blessed with such an outlook that they are able to change course and soldier on. – socialize and make connections – participating in groups provides social support and helps with reclaiming hope. Accepting help and support strengthens resilience. -avoid viewing problems as impossible – stressful things happen, you can choose how you view and respond to stress. Be aware of the little things that help you feel better. -accept changes as part of life – accepting situations that cannot be changed can help you focus on circumstances that you can change. -move toward your goals – develop realistic goals. Do something regularly. Every small success helps you to move toward your goals. -nurture a positive view of yourself – develop confidence in your ability to solve problems. Trust your instincts to help build resilience. -maintain a hopeful outlook – an optimistic attitude enables you to expect that good things will happen in your life. Visualize what you want rather than worrying about what you fear. -take care of yourself – pay attention to your own needs and feelings. Participate in activities that you enjoy and find relaxing. Taking care of yourself helps keep your mind and body prepared to deal with stressful sitautions. The LightHouse is a community mental health and wellness clinic providing quality psychological and psychiatric care to children, adults, couples and families. Located in central Dubai, The LightHouse brings together an international team of licensed psychologists and psychiatrists offering a range of treatments. The LightHouse is also home to the Raymee Grief Centre, which provides free grief support services to anyone living in the UAE.